FAST, LONG TERM WEIGHT LOSS IS JUST DROPS AWAY!? No exercise, drugs, prepackaged food, shakes or bars! The ChiroThin Weight Loss Program is Doctor Designed and Doctor Supervised! As a ChiroThin Weight Loss Center patient you will experience rapid, healthy weight loss without hunger or cravings. By using our comprehensive, doctor supervised program, in only 42 days our female clients lose between 2-3 sizes (20+lbs. ); male clients lose 25-40. *While individual results vary, THESE RESULTS ARE TYPICAL! The ChiroThin formula is physician created and has been specially blended to aid in boosting metabolism, suppressing hunger/cravings, reducing fat cell mass, reducing insulin resistance, increasing fullness, and detoxifying your body. What is the ChiroThin Program & how does it work? The ChiroThin Weight Loss Program combines a very low calorie diet in combination with dietary modification, nutritional support formulas, and weekly doctor supervision. This helps you lose weight quickly and safely, without starvation, and supports long term weight loss! The ChiroThin Formula is uniquely designed by doctors to support the burning of your body’s fat serves for energy, instead of protein (muscle), when it is taken along with a very low calorie diet. It also supports the gentle removal of toxins, helps to reduce your cravings and helps you maintain higher energy levels safely with vitamin B12. 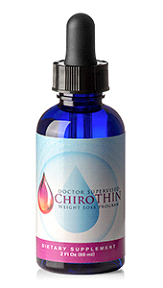 The proprietary ChiroThin formula is a liquid that you deliver to your body under your tongue. ​ Science and nature have combined four key ingredients to naturally accelerate you r weight loss, help you break through your weight loss barriers and maintain a healthy weight! 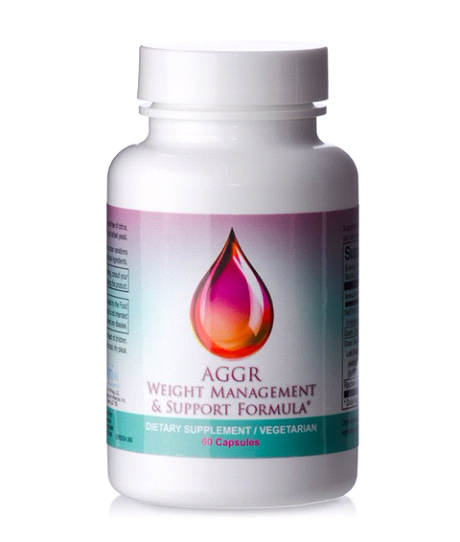 A small capsule that is taken twice a day, AGGR supports fat burning, appetite control, healthy blood sugar levels, reduces insulin resistance, and supports proper fat metabolism. AGGR has no caffeine, guarana, or ephedrine. Lose Weight and Save Money? ABSOLUTELY! All of the foods you choose to eat within the ChiroThin Program dietary guidelines are purchased at the grocery store. There are no disgusting shakes, bars, or expensive pre-packaged foods to buy. In fact, most people realize an average savings of $200-$400 in food costs during the 6 weeks! Is the ChiroThin Program safe? YES! The ChiroThin Program is extremely safe! Your ChiroThin physician will determine if you are a suitable candidate for the ChiroThin program. Call and schedule a private consultation with your ChiroThin doctor to learn more about the program, and if it’s a good fit for you. ChiroThin & AGGR are made by ChiroNutraceutical. In order to maintain the highest ingredient and manufacturing standards, all of ChiroNutraceutical’s products use only 100% United States derived, harvested, and combined ingredients. Our manufacturing facility, which is located in the western United States, is FDA certified up to and including pharmaceutical manufacturing. This means that with ChiroNutraceutical, routine inspections by the FDA ensure compliance with current Good Manufacturing Practices (cGMPs) and the Code of Federal Regulations (CFRs) for your safety. Unlike many nutritional companies, ChiroNutraceutical holds its own individual FDA Establishment Number. Additionally, ChiroThin has met all requirements and received Health Canada approval and has been issued a Natural Health Product license number. WHAT OUR CLIENTS HAVE CHEERFULLY REPORTED…..
“I tried everything… there was not a diet around that could budge the excess weight. For 1year I worked out three times a week in an intensive martial arts program and walked every day for 30 minutes, combined with the famous “life style change” of making better food choices. To my dismay, I lost a grand total of 10 pounds. I was devastated and felt hopeless until I tried ChiroThin. It was the first time in 9 years that I could see and feel the weight come off without exercises… it was AMAZING. I would recommend the ChiroThin Weight Loss Program to anyone who has struggled with weight loss." – Angela D.
“Wow, what can I say other than ChiroThin is awesome! I lost 53 pounds in 42 days and have not felt this good in over 15 years. The ChiroThin Weight Loss Program is super easy to follow, which I needed since I am a manager of a local restaurant. When I first heard about this program, my first thought was I’ll be starving. That is not the case. The ChiroThin Program’s dietary and behavioral recommendations and nutritional support formula drops worked exactly like the doctor said. I know I may be hard to believe, but I have not been hungry at all and my energy level is through the roof! If you’ve struggled with being overweight, let me give you some advice: “START the ChiroThin Weight Loss Program immediately”! You’ll be glad you did.” – Ronald N.
WHAT DISTINGUISHES THE CHIROTHIN WEIGHT LOSS PROGRAM FROM OTHER PROGRAMS? Quality, accountability, freedom, results, safety, and affordability! The products included in the program are the finest money can buy, and can only be purchased from an authorized ChiroThin Weight Loss Program participating doctor. Weekly doctor visits to check your progress, with personalized recommendations, fosters improved compliance for better results – more safely. You have the freedom to select real food you buy at the supermarket, prepared within our portion-controlled dietary guidelines. When followed as directed, ChiroThin Weight Loss Program patients achieve better results in a fraction of the time – and at a fraction of the cost – of other nationally advertised weight loss programs. Schedule your complimentary consultation at no cost or obligation with our participating office!